Once upon a time, bootmakers used “order books.” These were big hardcover books that remind me of the world atlas my sister and I shared when were kids. Back then, pages were big and I was small… and I had to use my whole arm to turn a page. Here’s how they work. Each customer would stand on the book, both their feet would be traced, and their measurements written down. Once the book was full, the bootmaker would start another. If you look inside and old custom boot you’ll often see a couple numbers, like 8-86. It’s secret code… you need to open order book #8 and turn to page 86. There you will find the customer’s name, measurements and usually the original selling price of the cowboy boots. 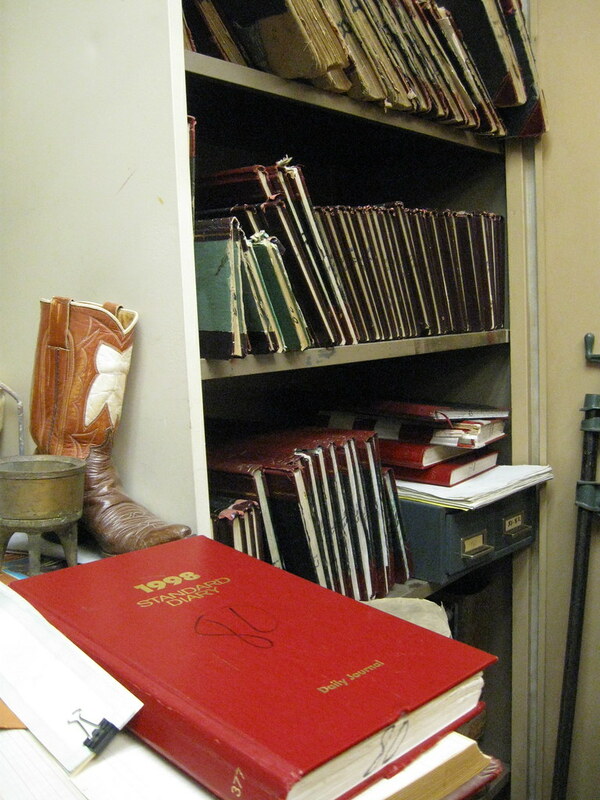 Nowadays most bootmakers use file folders. Sigh. All my fashion advice stops at the knee. I suggest you listen to what Briana has to say. After writing the glossary for my book, I realized how difficult it is to describe boot terms like side welts and insoles without using pictures. Bootmaker Glenderson Daly provides an excellent diagram of a cowboy boot on his website …detailing many parts of a cowboy boot which are typically hidden from view.